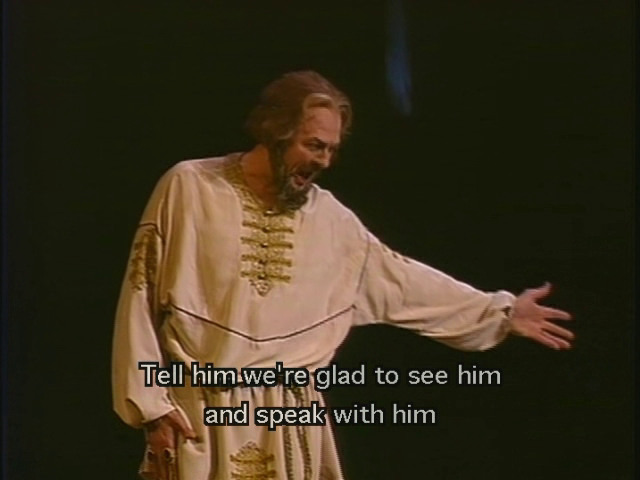 This is the Andrei Tarkovsky production of the famous Pushkin/Mussorgsky opera, performed in 1990 at the Mariinsky Theatre in St. Petersburg, Russia, conducted by Valery Gergiev. 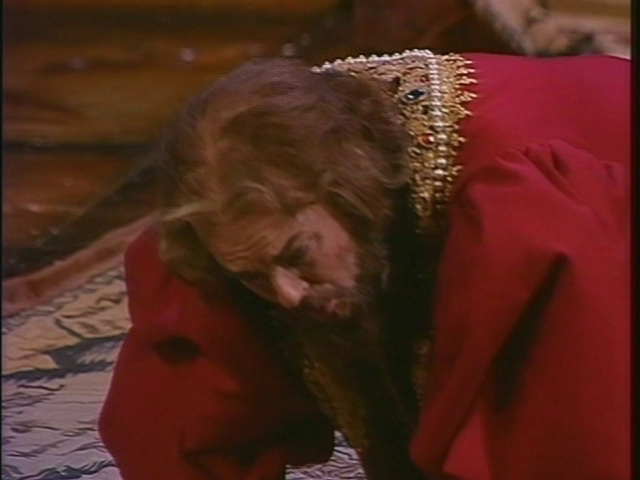 Look no further – finally, Mussorgsky’s ideas about his great drama have been realized. 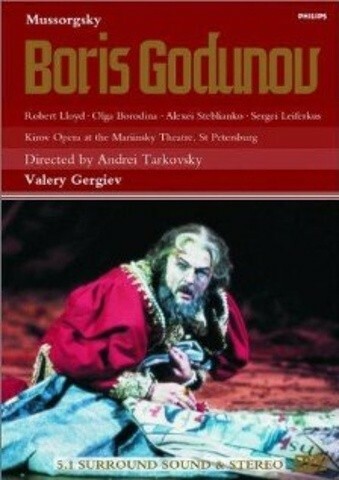 This is the ONLY video of Boris Godunov using Mussorgsky’s own orchestration. (After the composer’s death, Nikolai Rimsky-Korsakov took it upon himself to create a new orchestration, arrogantly considering that Mussorgsky could not possibly have meant his music to sound the way it did. Unfortunately, this reorchestration was the standard version until very recently – almost all the available recordings of the great Russian basses in this role are the Rimsky-Korsakov version.) Murder, treachery, passion and misery – what more could one want from a great opera? 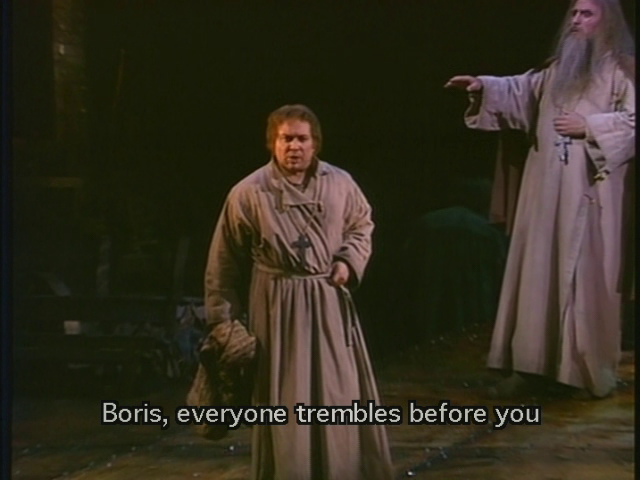 Mussorgsky’s epic is brilliantly staged by the great Russian film director Andrei Tarkovsky in a rich production from London’s Covent Garden (1983). Tarkovsky succeeds in posing disquieting psychological questions in a brutally faithful rendition of great originality and profundity. 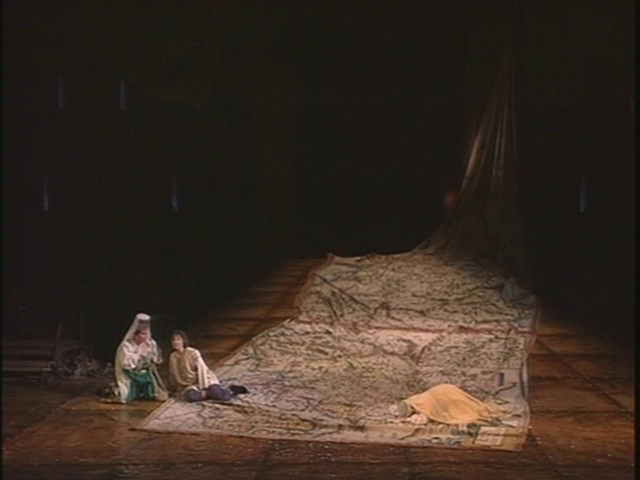 There are no cuts in Mussorgsky’s music in this production: it is allowed to speak for itself. 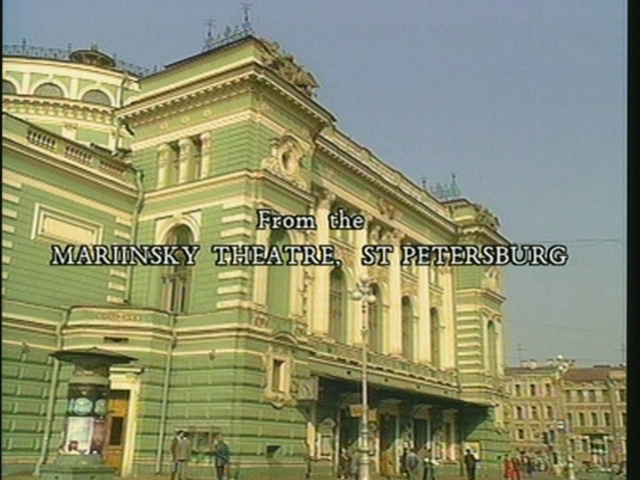 The film dates from 1990, when the production was given and filmed at St. Petersburg’s ornate Mariinsky Theater. 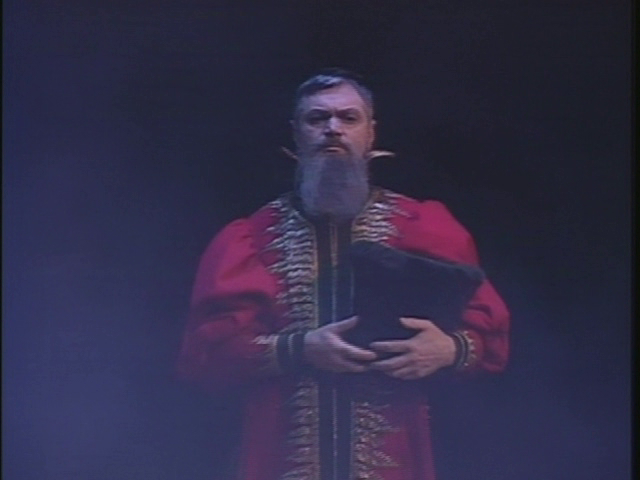 A mostly Russian cast, including Olga Borodina as Marina, Alexei Steblianko as the false Dimitri, Sergei Leiferkus as Rangoni and Alexander Morosov as Pimen, is headed by the English bass Robert Lloyd in the title role (and only rarely is his foreign accent noticeable!). The singing is magnificent throughout – I think the recording technology itself is responsible for a loss of sheen from the soloists and the orchestra, conducted with true insight and bravura by a young Valery Gergiev. The chorus is superb. My only criticism is that, throughout, the film is somehow too clean and self-conscious. 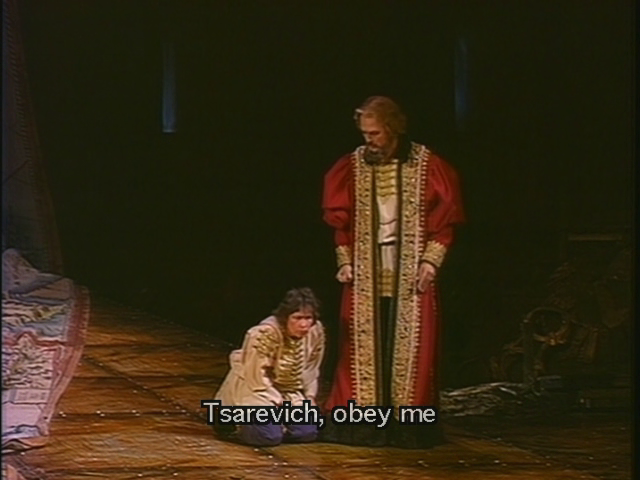 The extensive subtitles are extremely helpful, as are the all-too-brief notes included with the set. I hope your interest will be piqued enough to delve into this fascinating period of Russian history. Perhaps the greatest triumph of this film is that Mussorgsky’s own vision of Russia is at last presented as I feel he would have wished. Bravo to the entire production! Oh dear… How did you find this? Thank you very much! As always.